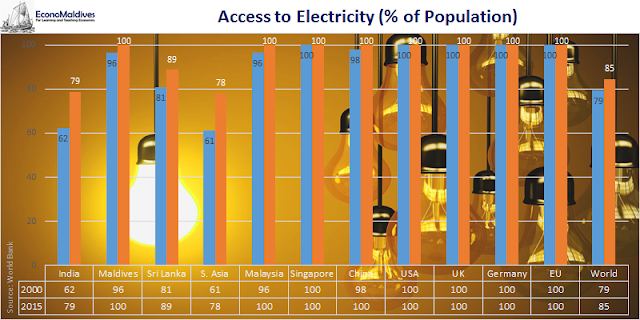 Access to electricity is the percentage of population with access to electricity. Electrification data are collected from industry, national surveys and international sources. Statistics shows that 15 in every 100 people in the world are living without electricity till date. In Maldives, everyone has access to electricity.